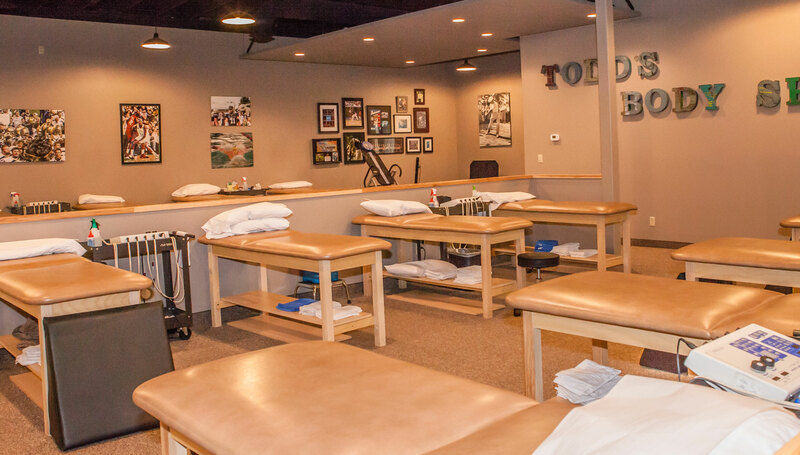 Todd's Body Shop Physical Therapy and Rehab is a full-service physical therapy clinic specializing in manual therapy and progressive exercise. This state of the art facility includes a 10,000 sq ft physical therapy suite along with a 6,500 sq ft functional gym. Massage therapy and Infrared Sauna are also available to compliment your physical therapy treatments. Read more about our amazing staff. Find out why we make the difference! My lower back hurts... Can I just strengthen my core to alleviate my symptoms? "Thank you for so gingerly alleviating my recent ailment! You guys are the best!" We are a community-based, family-oriented physical therapy clinic that will provide excellent service in a friendly environment. Our therapists will utilize a full-body approach using manual therapy techniques, exercise, and various modalities to achieve the best possible outcome for our clients.